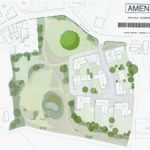 The Villages Plan was adopted by East Devon District Council on 26 July 2018. There is a six week period in which the Villages Plan can be challenged in the High Courts as set out in the adoption statement, which also includes details of where the plan may be viewed. The Villages Plan is supported by a Sustainability Appraisal and its Non-technical Summary. The Sustainability Appraisal Post Adoption Statement sets out how the Sustainability Appraisal has informed the development of the Villages Plan. To check the full set of planning policies that apply to a particular area the Villages Plan should be read in conjunction with the East Devon Local Plan and any made Neighbourhood Plan (together with the Devon Minerals Plan and the Devon Waste Plan if appropriate).